Hollywood was at one time the “glitter and glamour capital of the world”. Sadly, the city has withered ungracefully with age, falling victim to a changing industry and abandoned by the business that made it famous around the world. All but one of the movie studios has left and nothing exciting remains in this fabled town aside from an old hotel and a record store at the postcard famous corner of Hollywood and Vine. During the first half of the 20th century, talking movies were largely filmed in the studios. By the latter half of the century, however, technology had advanced to the point where movies could be filmed inexpensively and successfully on location. 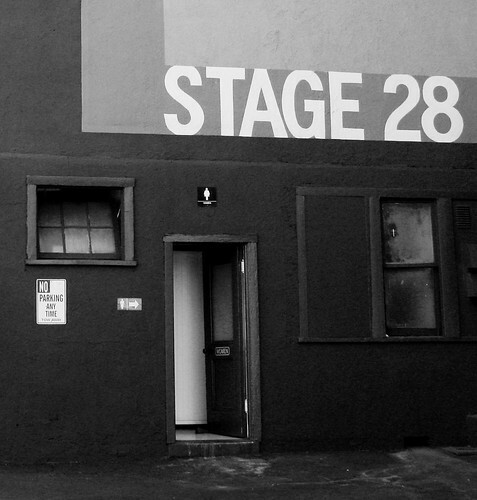 The sound stages of the studios, which were converted at one time into elaborate sets, were no longer needed. Studios decentralized away from Hollywood, moving to cheaper land in the San Fernando Valley. Hollywood has slowly faded into the gimmicky town it is today with its streets playing home to the homeless. Still, even after more than 80 years since the first motion picture was produced, Hollywood’s star has not disappeared entirely quite yet. While the town is struggling to recapture the classic charm of its day, renovations, renewals, and restorations in recent years have triggered a modest revival. Hollywood’s new breath of life comes from its continued status as a favorite destination among tourists. The development of the Hollywood and Highland complex and its Kodak Theater has given the district a cleaner look and should continue to fuel the tourism dollars the town now relies on. The boundary of Hollywood in the east begins at Silver Lake, which was the initial home of the movie studios and now a community of Latinos and Gays. North of Hollywood’s core is Los Feliz, a neighborhood that was once the residence in the 1920s to Hollywood’s who’s who. Today, it is a community of both the rich and poor. Even further north beyond Los Feliz lies Griffith Park, LA’s famed landmark observatory. The heart of Hollywood is the Hollywood Boulevard, which is home to the Hollywood Walk of Fame – streets honoring prominent individuals of the entertainment industry, past and present. This street along with its southern neighbor, Sunset Boulevard, formed the central axes of the golden age of Hollywood, from the 1920s to the 1960s. During this era, the movie stars resided in exclusive homes in the Hollywood Hills, high above and overlooking the boulevards. Today, the economic core of Hollywood has migrated west to West Hollywood, which is outside of the city of Los Angeles. Hollywood can trace its beginnings as a town to 1887 when Harvey Wilcox filed an application to subdivide his ranch with the Los Angeles county recorder. By 1905, the farms and orchards of his estate were being sold as buildable plots, resulting in a tidy line of houses. The first movie studio in Hollywood was built in 1911 by the Nestor Film Company at the intersection of Gower and Sunset Boulevard. Other producers such as Cecil B. DeMille soon joined the fray to take hold of the lucrative potential of this new industry. In 1914, Demille created his first epic film, “The Squaw Man”, out of a barn near Vine and Selma. Later that year, entrepreneur Carl Laemmle opened Universal Studios Hollywood. The following year, D.W. Griffith produced the film, “Birth of a Nation”. Soon, movie palaces were erected everywhere to show these new productions. The nation flocked to the theatres, creating a new genre of celebrities – the movie star. Hollywood titan, Douglas Fairbanks, built the lavish Pickfair mansion for his bride Mary Pickford, setting it on the slopes of Beverly Hills. Other movie names such as Clark Gable, Vivian Leigh, Mae West, Gloria Swanson, Rudolph Valentino, and Jean Harlow all gained fame in the early days and soon became symbols of the glamour and excitement of Hollywood life. In 1923, a real estate developer selling homes in the hills of Hollywood called his development “Hollywoodland”, spelling the name out in 15-meter letter signs. The letters eventually faded over time due to bad weather and neglect. Hollywood residents decided to restore the letters, drop the “land”, and advertise the city’s name eternally. In 1927, with the founding of the Academy of Motion Picture Arts & Sciences, the movie industry held its first Academy Awards in the Biltmore Hotel’s Crystal Ballroom. Film was now a serious art form and Hollywood a domestic economic success. International dominance soon followed after WWII crippled the film industry in Europe. Unfortunately, the golden age of Hollywood met its tail end in the 1950s and 60s when government antitrust actions, television, and revitalized European competition weakened the LA film industry. All the major studios, except Paramount, have moved out of Hollywood to places like Burbank and Culver City, along with the actors, producers, directors, and most importantly – the money. For decades afterwards, Hollywood hobbled. In recent years, however, it has experienced a semi-revival. While studios have left, tourism dollars have helped cushion the fall. New developments like the Hollywood and Highland mall, adjacent to the Kodak Theater which now hosts the Academy Awards, have mildly reinvigorated the district. While it is unlikely Hollywood will ever experience the glory of old, today, the Pantages, the Egyptian Theatre, and the Mann's Chinese Theatre along Hollywood Boulevard remain as monuments to a golden period in the American film industry. Baker, Christopher, Judy Wade, and Morten Strange. California. New York: Macmillan General Reference, 1994. ISBN: 0671879065. Dickey, Jeff. Los Angeles, 3rd Edition. Rough Guides, 2003. ISBN: 1843530589.